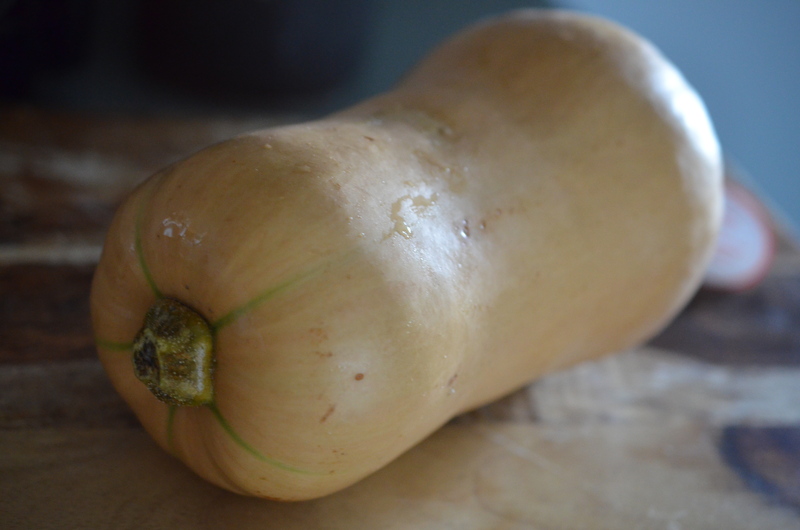 I am drawn to all the squashes being stocked at the groceries and markets. They are not only tasty, but pretty as well. There are tons of creative ways to incorporate them into your holiday décor. I am definitely partial to food that I can decorate with! I love that they are play the role of both vegetable and starch. It’s sneaky, they go both ways. 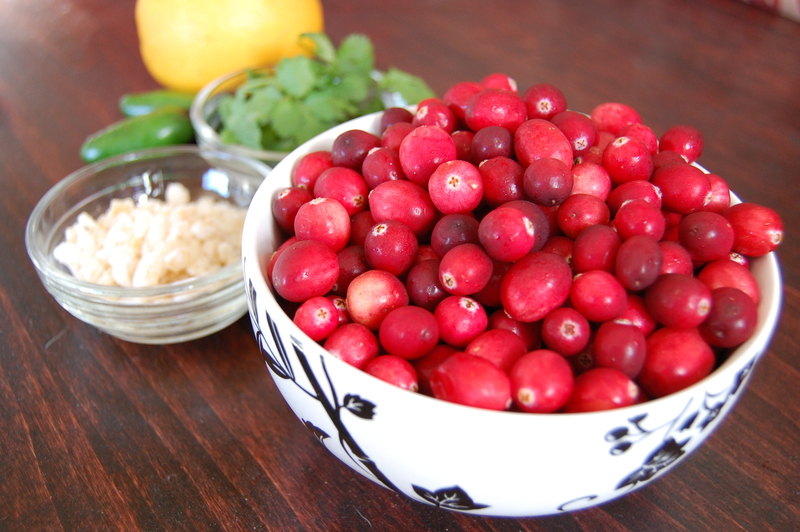 In fact they double their character by being used in both savory and sweet sides of the kitchen. This week though I stuck with the savory side, a cassoulet type soup/stew. Rich and hearty and packed with fall flavors. Start by marinating the chicken with the Herb de Provence, salt and pepper. Allow the chicken to marinate at least 1 hour. 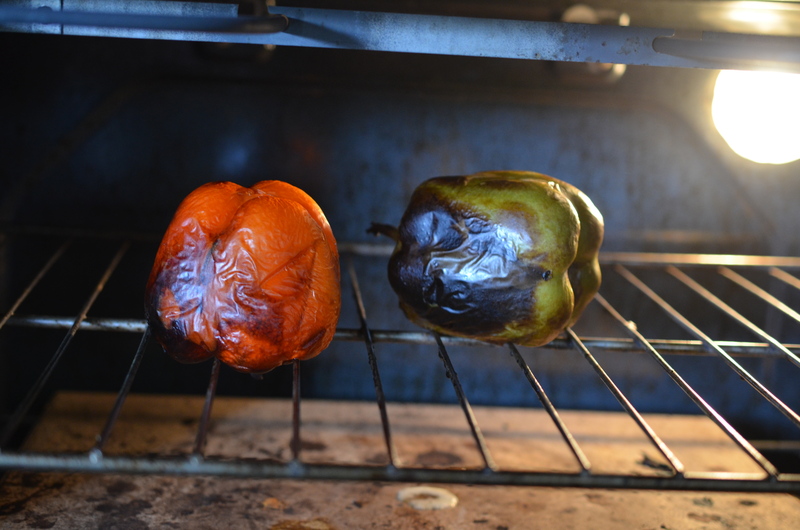 Roast your peppers in high temp oven or over a grill and remove seeds and skin, then dice and reserve. Place a heavy bottom stock pot over medium high heat and add sausage crumbles. While stirring sausage add in the chicken, squash, onions, celery and sage. You may need to add a touch of oil depending on how much fat leeches out of the sausage. When onions are translucent and there is a bit of color on the squash and chicken pour in the chicken stock. Turn the heat to medium and allow to simmer for another 20 minutes. 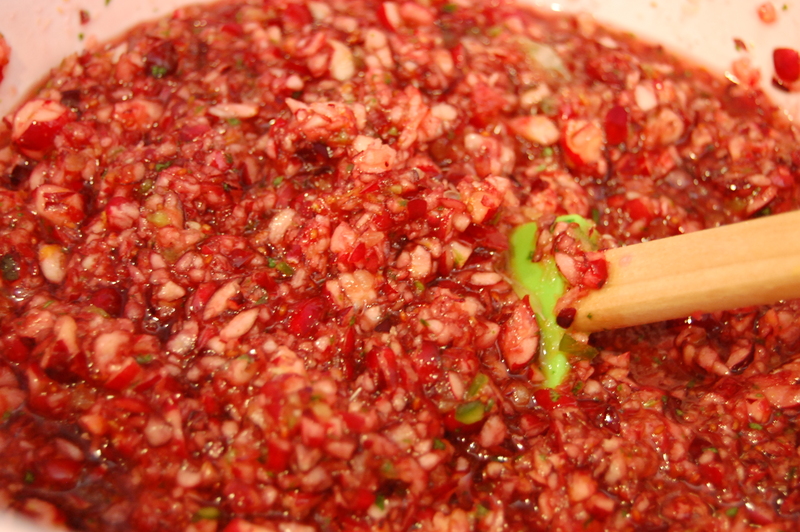 Add in the roasted, diced peppers and adjust with salt and pepper to your taste. Before serving add the green onions. This is a quick and easy fall dinner, one that gets better with age, so it’s a perfect do ahead meal for your busy weeks coming up! Just have to sacrifice one of your display squashes! Warm wishes and happy Thanksgiving!! 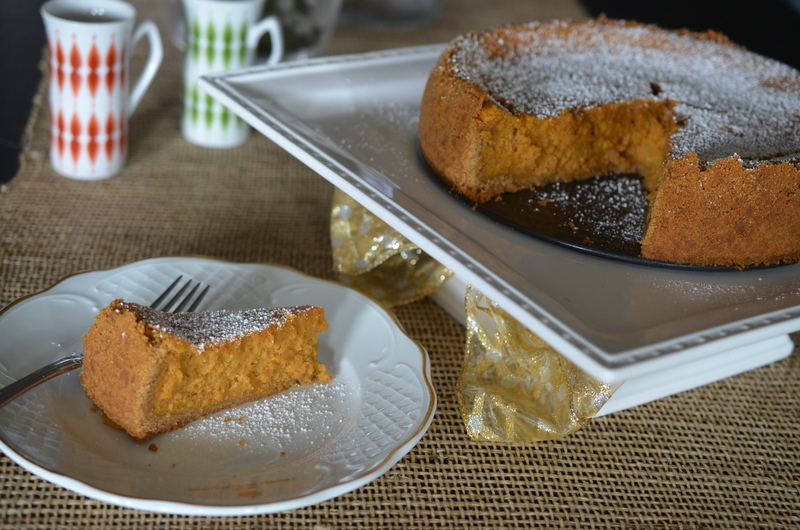 Gooey Pumpkin Cheesecake- A Happy Mistake of a Non Baker! 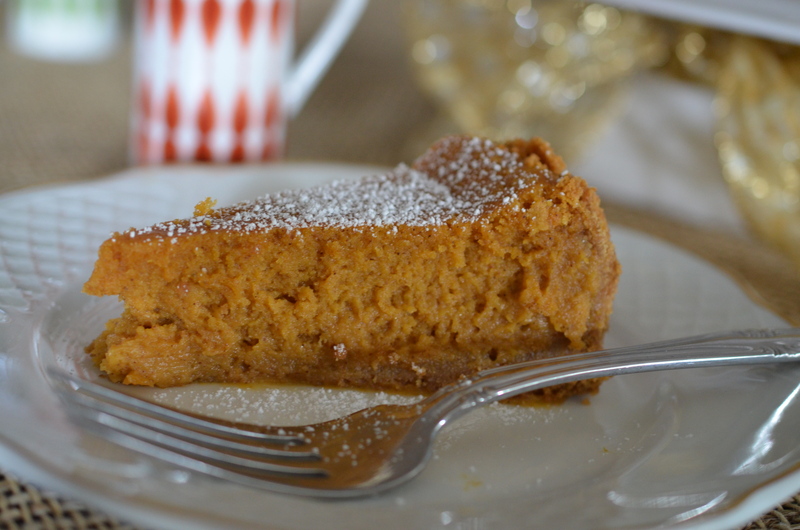 Pumpkin desserts need graham crusts. Some pies, cakes, bars just do not reach their potential without graham bottoms. 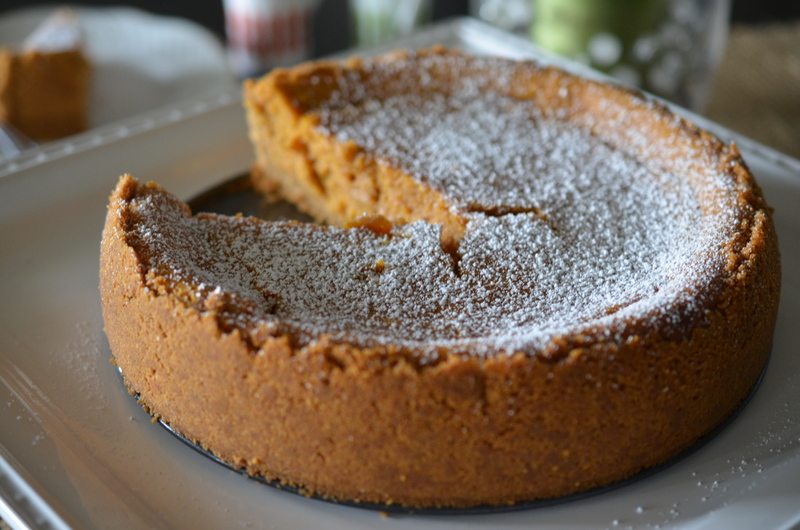 I shun any key lime pie made with a plain butter crust, same is true for pumpkin and sweet potato. So I knew right away that I needed to modify the great Paula Deen’s recipe to make it better, how could she not know this? Preheat the oven to 350. 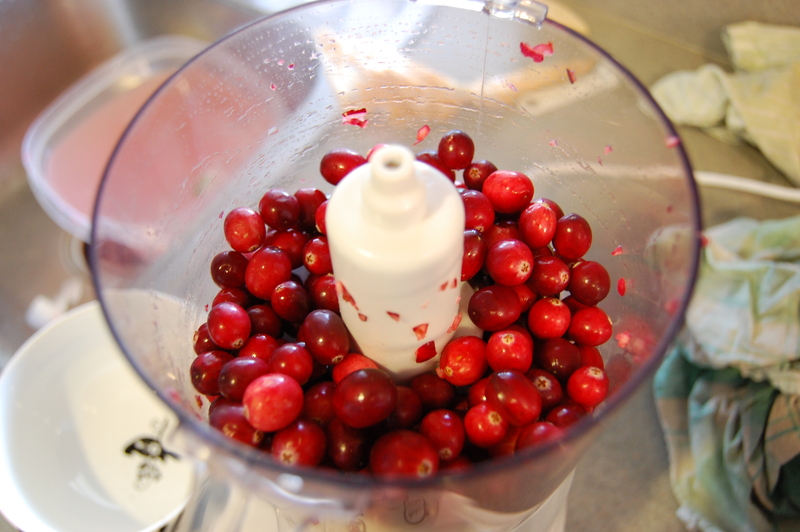 Add all the ingredients to a food processors and pulse until well combined. You may need to do in two batches depending on the size of your processor. If you are without a food processor try crumbling the crackers by putting them into a large Ziploc bag and then use a rolling pin to crush them. Press the crumbs into the springform pan and bake for 10 minutes. 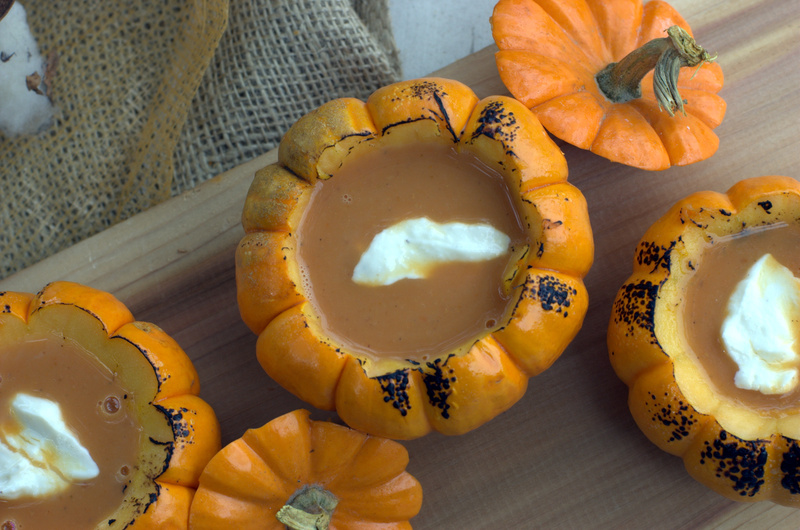 In a large bowl, beat the cream cheese and pumpkin until smooth. Add the eggs, vanilla, and butter, and beat together. Next, add the powdered sugar, cinnamon, nutmeg, and mix well. Spread pumpkin mixture over graham crust and bake for 75 minutes until the center has a soft jiggle and a pick comes out clean. When I took it out of the oven, I couldn’t help but think this is not right; it looked just like cheesecake. Crap. This is not what I was hoping for. All this time thinking about that bite of Jenny’s Gooey Butter Cake and this is what I get- cheesecake. I cursed myself, first for using the pumpkin version instead of the traditional Paula Deen recipe, and then for changing it, thinking I knew better as if I was professional baker. Crap. Wes came in from working in the yard and smelled the house, proclaimed it smelled like heaven. I gave him a quick sigh of frustration and told him how stupid this cake was, that I was pissed. (Excuse my language, but I was super mad). He didn’t really seem to connect with my frustration; all he saw was a perfect looking and smelling cake sitting on the counter. When the cake had cooled completely I sliced into it, and saw that I was right, it had a cheesecake consistency. This was not Gooey Butter Cake. But I plated up the slice and took my photographs, just in case it came out tasty. When I was done shooting, I took the bite off the fork and smiled with relief. Deliciousness. The cake certainly was not what I planned for, Pumpkin Gooey Butter Cake, but was one of the best pumpkin cheesecakes I’ve had. Rich but not heavy and the pumpkin flavor was sweet but not like candy. 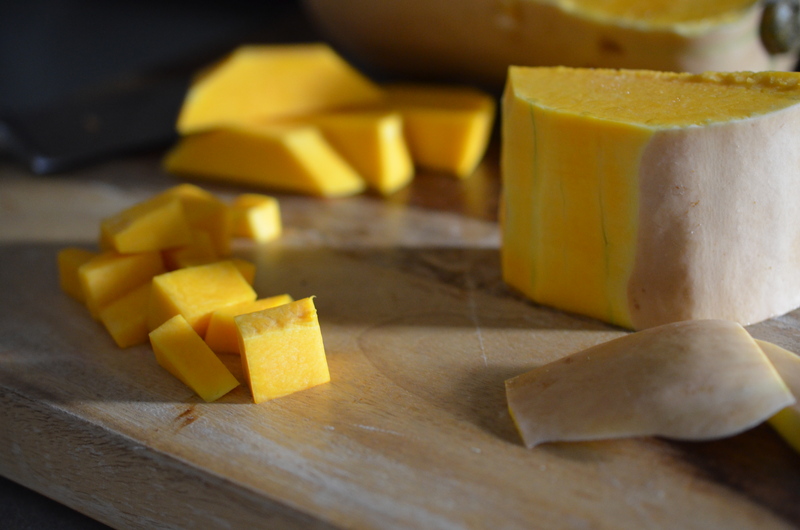 There was stronger pumpkin taste then in typical cheesecakes which I love. I took a chance in the kitchen, which is not unusual for me to do, but I don’t typically mess around with baking recipes. In this case I was lucky; my chance had a happy ending. 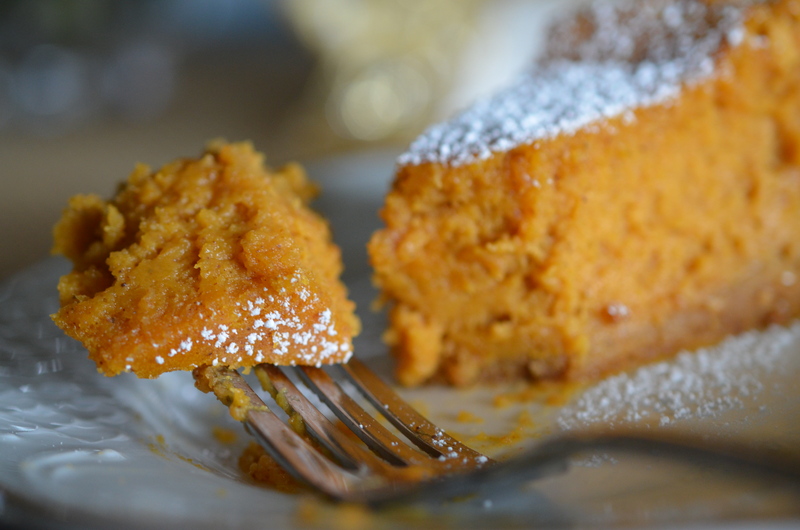 Jenny’s Gooey Butter Cake is still on my must make list, and this Pumpkin Gooey Cheesecake is now on the repeat list! I had dinner with a few clients last week that were not only interested in planning their potential event; they also loved food- what a great conversation we had! One of the questions they asked was how all the food based reality shows affect us, as Chefs. I told him that most of us love it; the rise in foodies is great, as we now have even more opportunity to talk about our trade, our passion! Most Chefs love what they do; they have to love it to be ok with the lifestyle it provides and we are more than happy to talk food with anyone and everyone. Another question that was asked was what dish am I known for, as a chef. I’m not sure if I was just nervous, or my mind went blank but I really struggled with this question. I gave a few answers after stumbling for a couple moments, but the question stayed with me causing me to think about the years of my career that led me to where I am, and what dishes or events stood out to me as milestones. Way back in 2006, I was working at the Disney’s Contemporary Resort, which not only catered in the convention center, but Magic Kingdom, Fort Wilderness, Wilderness Lodge, Richard Petty, and the Polynesian as well. And in some cases we also would travel to one off locations- Orlando Science Center, private homes, even to the trails of Disney’s Wilderness Preserves. One event in particular that stands out to me is a backyard holiday party that we catered. It was at a lovely private home in downtown Orlando, with a beautiful yard and the most gracious hosts. We drove our huge truck thru the old narrow neighborhood streets, and unloaded a kitchen, bars and tables up thru the driveway into the backyard which was transformed into a gorgeous dining venue under the old oak trees. A few hours later as the guests arrived, we were filling the backyard with scents of seared lamb and grilled beef. 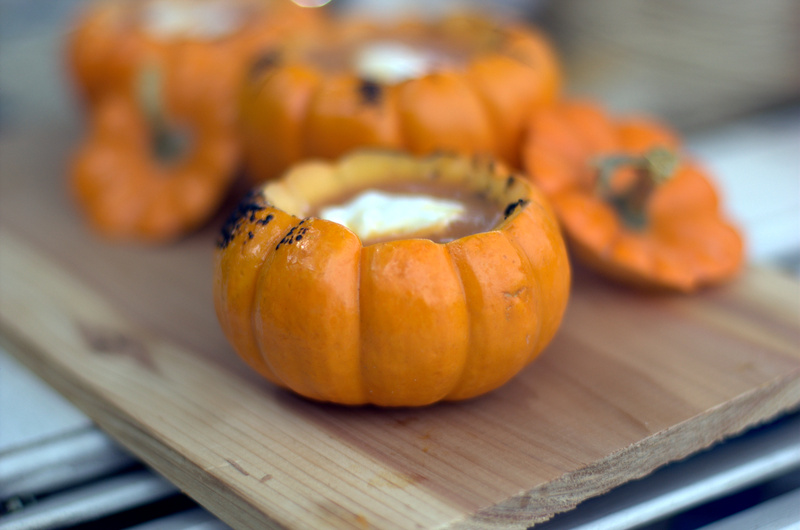 I was busy roasting mini pumpkins and filling them with the soup I had made, which the guest adored. Seconds and thirds were donned out with such pleasure. There is no better reward for a chef then to have someone comeback for more, especially when you are just in the beginning of your career. After the party came to a close, we packed the trucks up and drove back to the resort to unload. Sitting next to the chef on the way home, he put his hand on my shoulder and told me I had done an incredible job, that’s all I needed to hear to fuel the culinary passion. The next week came and Chef asked me to write down my recipe for the soup; there was a food writer at the event and they wanted to share the recipe with their readers. After I was sent a copy of guidelines for published recipe writing, something I still use today, I quickly sent off the recipe. When I saw the recipe here I was pleased as punch. I would say this is one of my first dishes that I have been known for, and the best part is that today, almost 6 years later it still is a timeless dish! 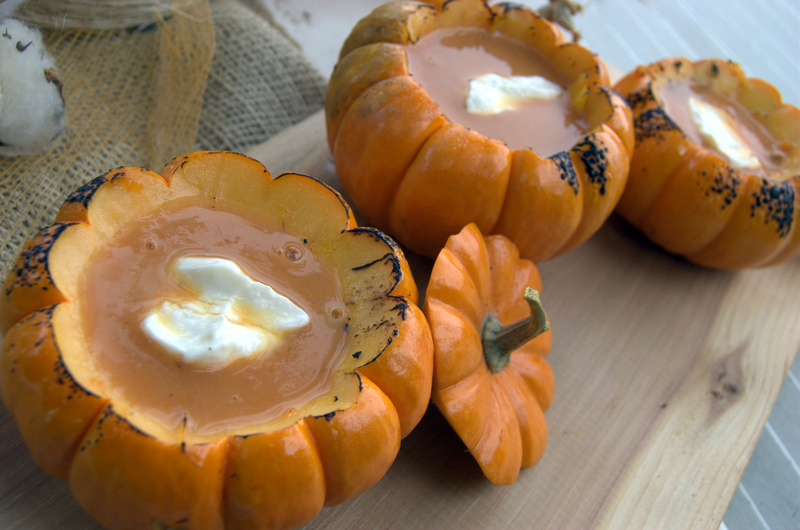 Cut small round in pumpkin and remove the top. 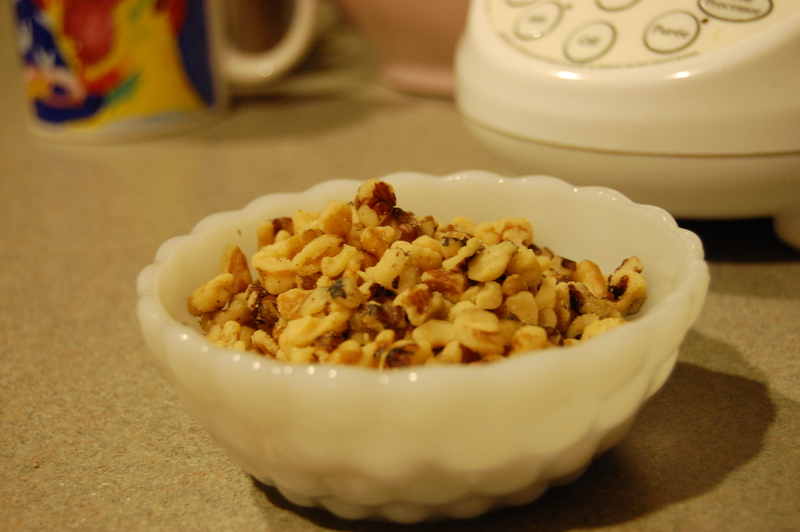 Clean out the seeds and pulp. Brush with a bit of olive oil and place on a baking sheet. Roast in the 400 oven for about 20-25 minutes before serving. Sweat the shallots in oil until translucent. 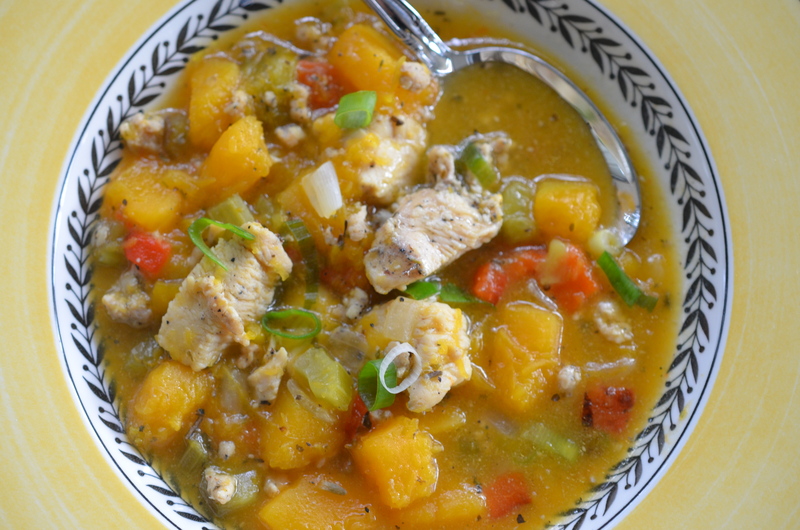 Add the fresh pumpkin and sweat until fork tender. Add brandy and allow to cook, reducing volume by half. 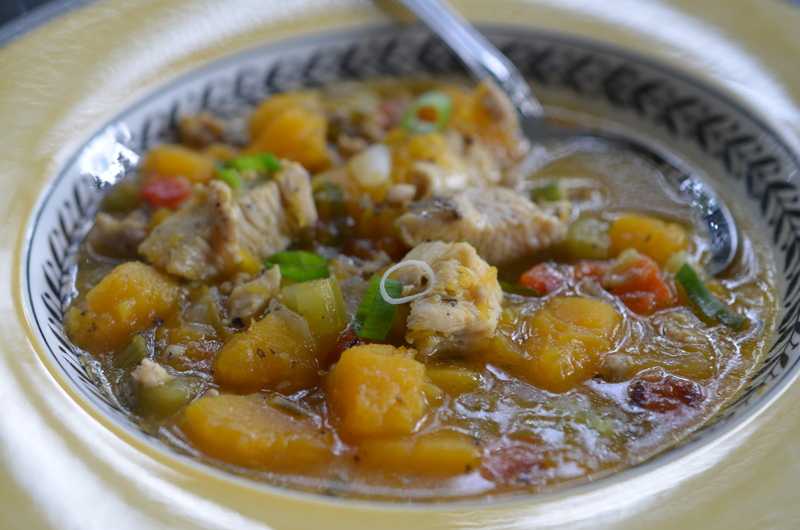 Add chicken broth and pumpkin puree; simmer for 30 minutes. 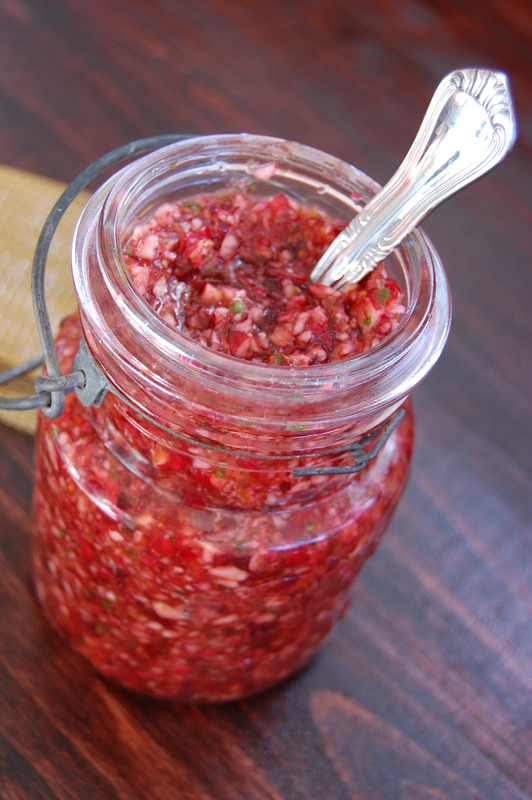 Puree the garlic and combine with the wine and set aside. Puree soup with hand held blender in batches. 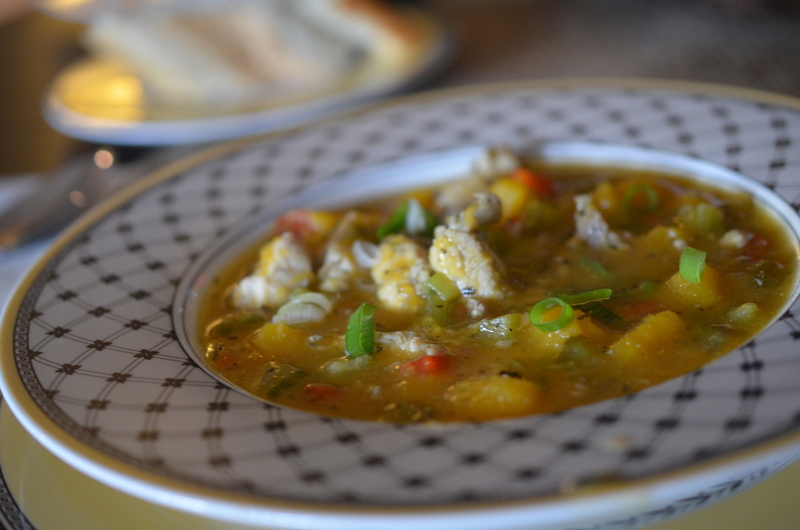 Adjust to desired consistency with more chicken broth or water. A ½ hour before serving add a couple of tablespoons of the ginger and wine combo, cinnamon and fresh grated nutmeg to reach desired flavor. Serve with a spoonful of mascarpone cheese on top. ** Note: Adding the ginger to early or using the powder form can result in a spicier soup. 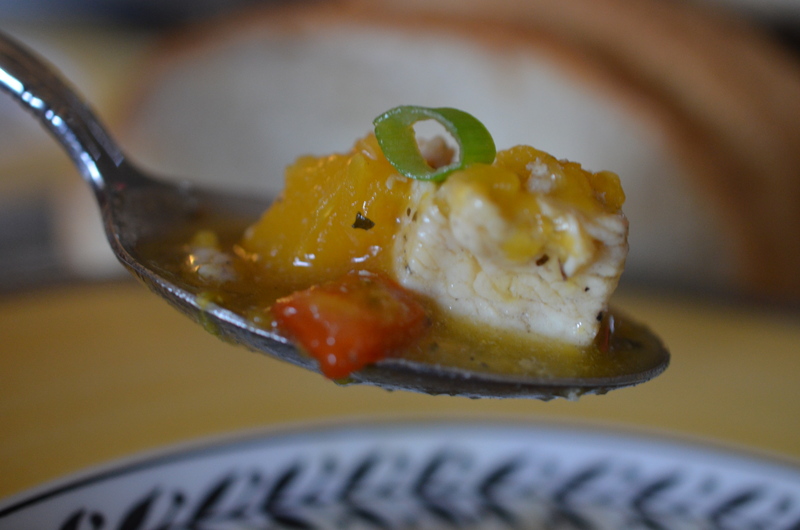 With the dry ginger the longer a soup cooks with it the more of a peppery flavor it gets. 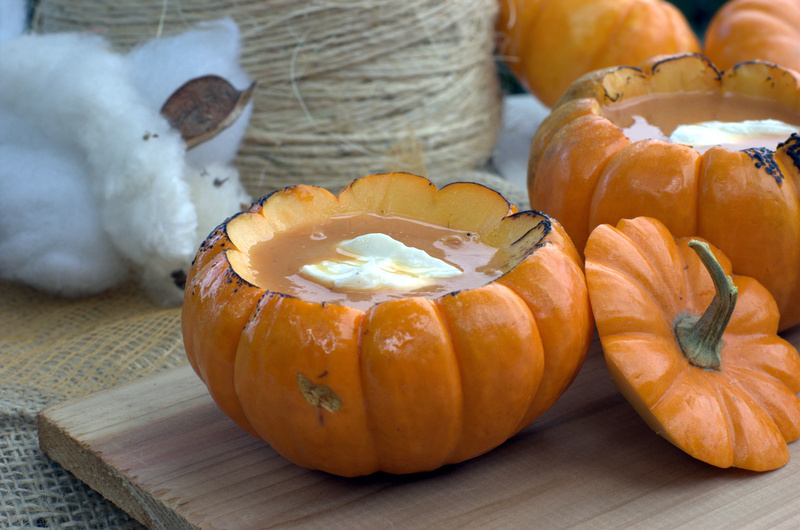 Serving the soup in a mini roasted pumpkin is not only a creative vessel; but the flesh of the pumpkin enriches the soup adding an earthy complexity. To answer the question of what dish am I known for, this may be one of them, but to me it is more of an accomplishment that encouraged me to continue the path I was on. We all have points in our career that are highs and lows, I would like to think both the highs and lows are equally important as lessons. Anyone else waiting for Turkey? 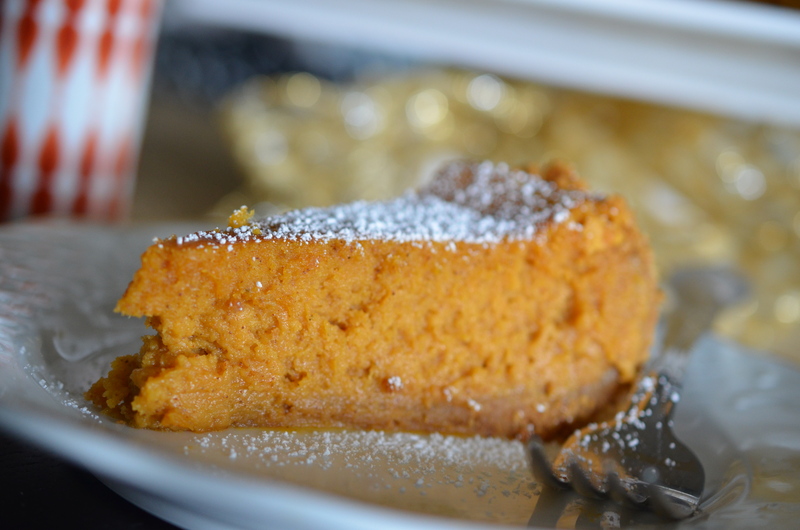 Anyone else wondering what to do with the leftover pumpkin from your pumpkin pie recipe? Anyone else wishing they had more room in the refrigerator? I was! I made more room in the refrigerator by getting rid of a Tupperware and a crate of eggs with decision to make breakfast this morning and that alone makes it a win! Not to mention the smell in the air! 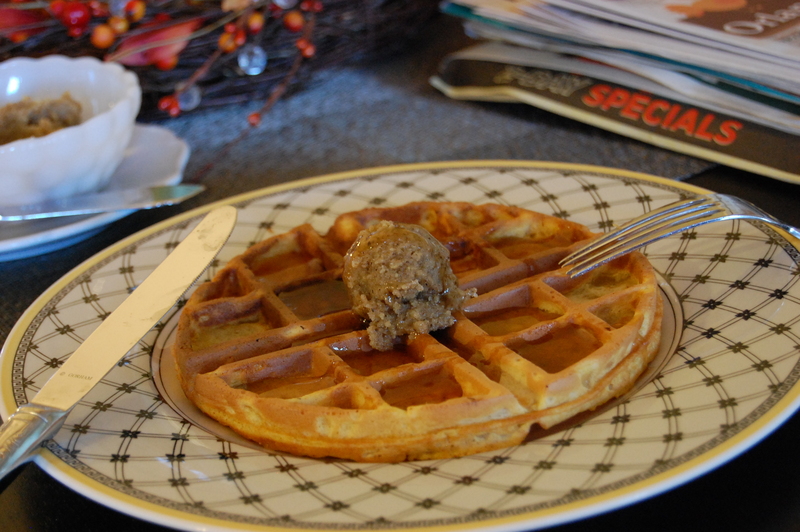 I found this quick recipe for Pumpkin Waffles at Taste of Home and adapted it as I didn’t have a ton of pumpkin left. 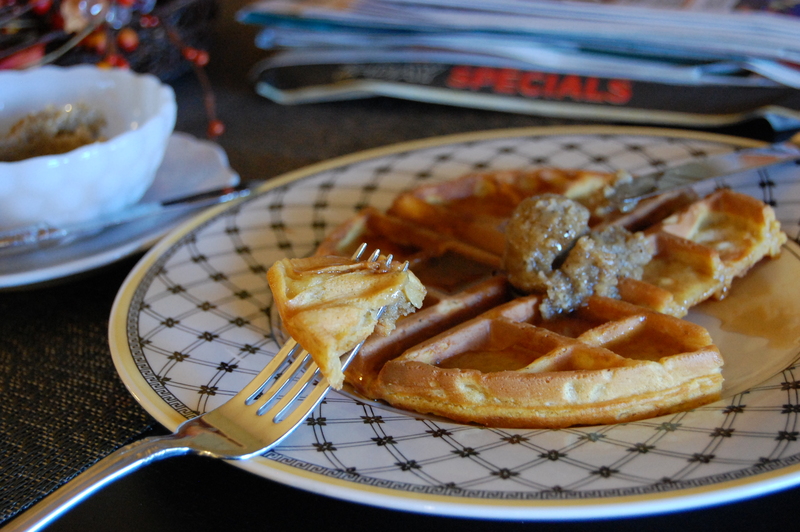 Then I glanced over at the bag of nuts and decided to dress up the waffles with Pecan Butter. Easier than you think- took me 15 minutes! Just in time to start on the Black Friday Ads! 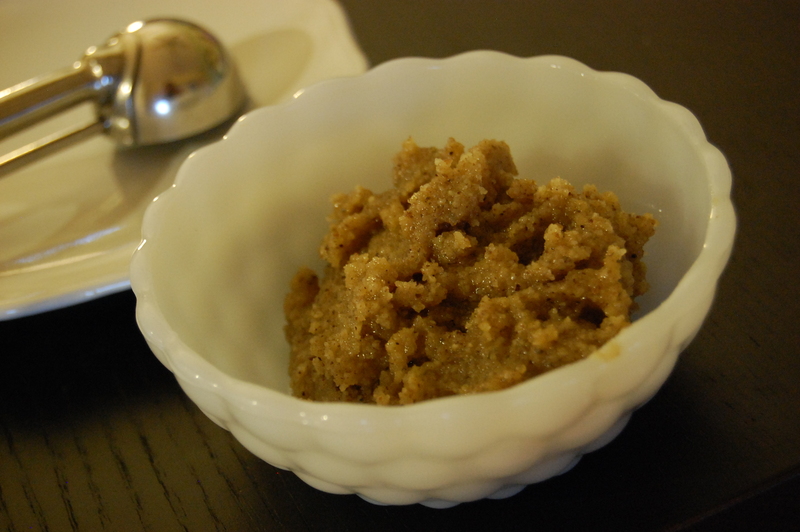 In a large bowl, combine the flour, brown sugar, sugar, baking powder, seasonings and salt. 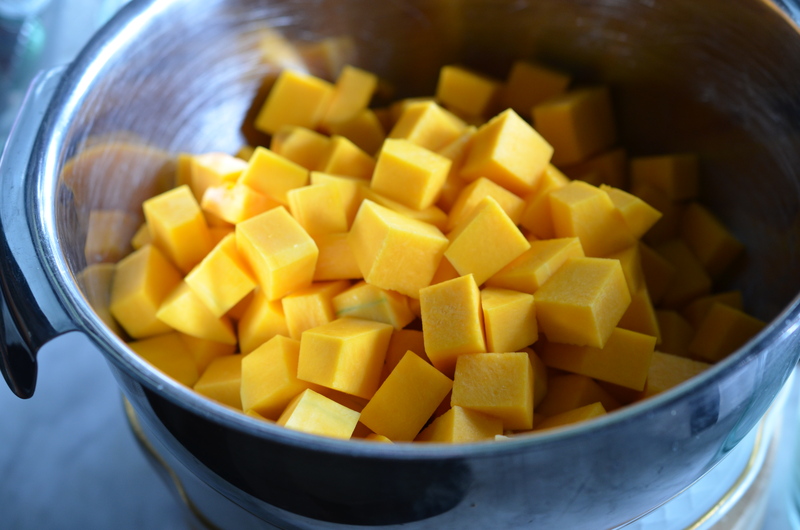 Whisk the egg, milk, pumpkin and butter; stir into dry ingredients until well blended. Follow the directions on your waffles maker- Should serve about 4 pp! 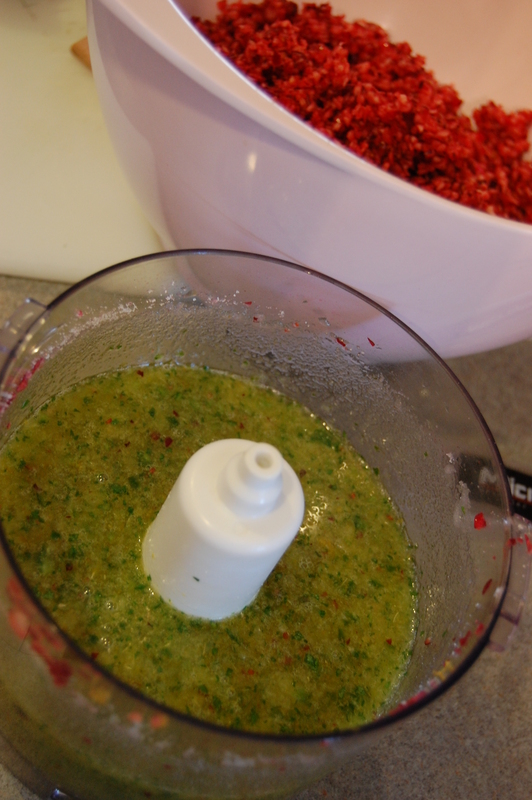 Grind all ingredients in a food processor until blended. Turkey is on, got the paper in front of me, parade is getting ready to start, the family is gathered around the table and have a delicious waffle in front on me! What a great Thanksgiving!! I hope everyone’s day is just as special! Happy Thanksgiving to all! Forget the Oven- Grill that Turkey! We have come to love grilling our turkey! The last few years for Thanksgiving and Christmas we moved the bird from the oven and to the grill and found it to be amazing! The weather is typically still in the high 70’s or even 80’s here in Florida so it is nice enough to be outside. With the grill going in the backyard, the oven isn’t heating up the house, and best of all there is plenty of room for all my sides and desserts to bake! The turkey cooks perfectly even, and is the moistest bird I have ever had- EVEN the breast! Strangely when I tell friends that we grill our turkey no one seems to believe us, so last year we documented it for the non believers. Thought it would be a good time to share as we are all in the midst of planning our feasts! 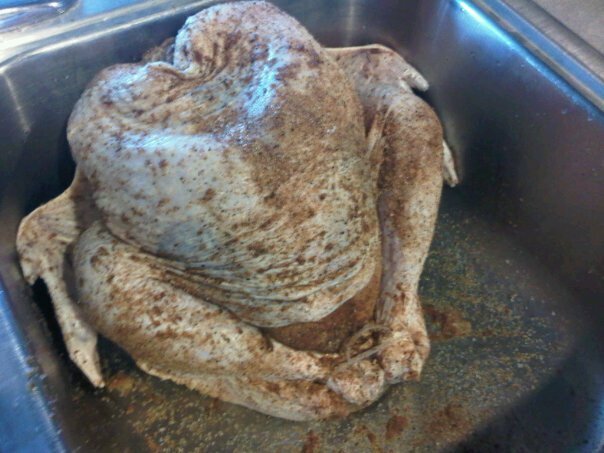 Here is the bird, with a creole rub on it! 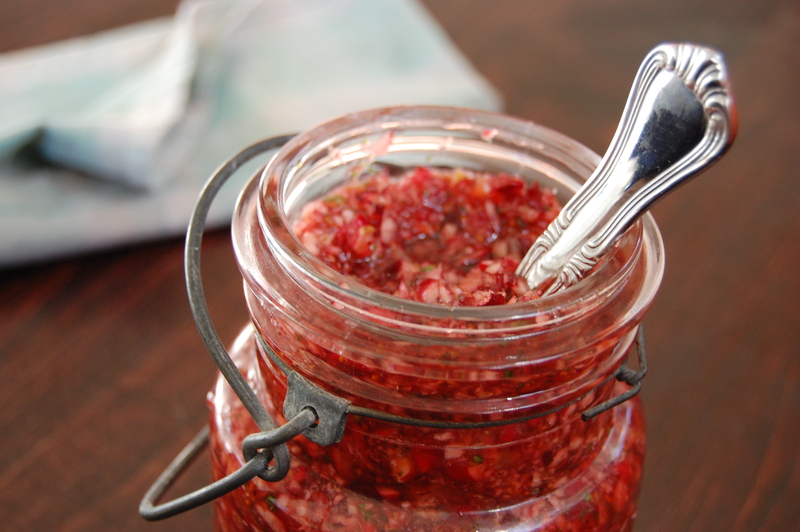 You can use traditional herbs and garlic, a brine or any other way you are compelled! 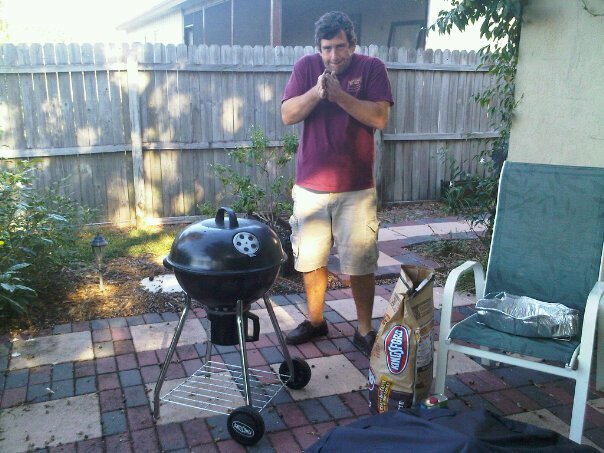 Sir Wes, aka- The Grill Ninja! 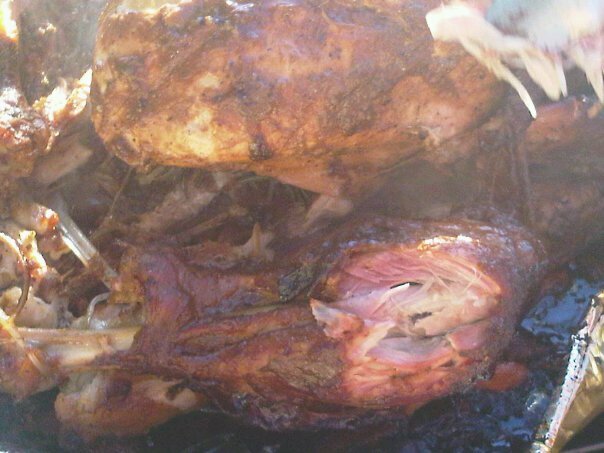 We buy about a 12-14 lb turkey and it takes between 2.5 and 3 hours over slow coals. We basted the turkey, just like you would in the oven. We had to crinkle up the pan so it fit on the grill- but it was so nice not worrying about messing up my nice roasting pan! I made pan sauce on the stove when the bird was done. 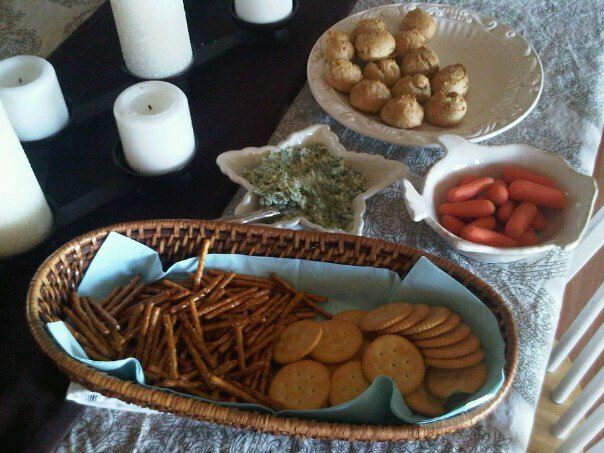 Some snacks while we waited- the Blue Cheese Pecan Gougeres were delicious! 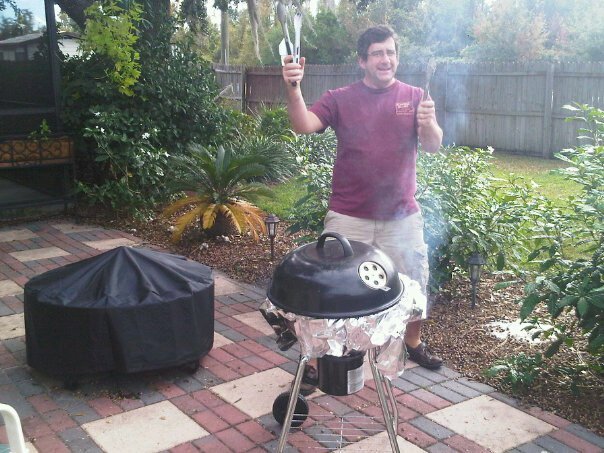 Nice part of grilling the turkey is that you feel ok if you open a beer or make a margarita while you wait for dinner! The turkey was a little big, so we covered it loosely with tin foil so the top of the grill didn't sit right on it.We used a disposable pan for easy clean up AND so we could make sure it fit on the grill! Nice color, super moist and ever so tasty! 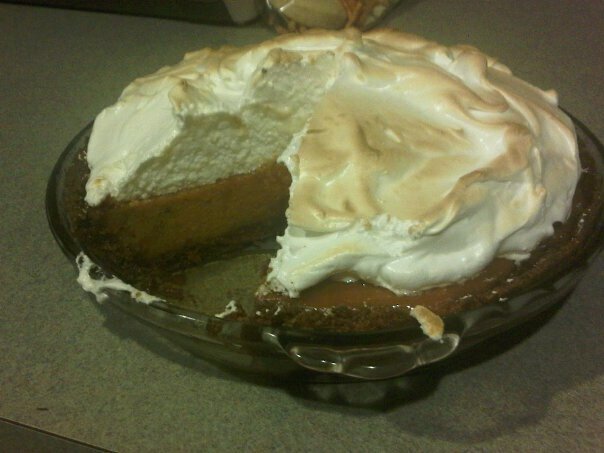 Incase you are wondering what we had for dessert- Pumpkin Meringue! No matter how delicious the turkey is- at our table there is always room for dessert! 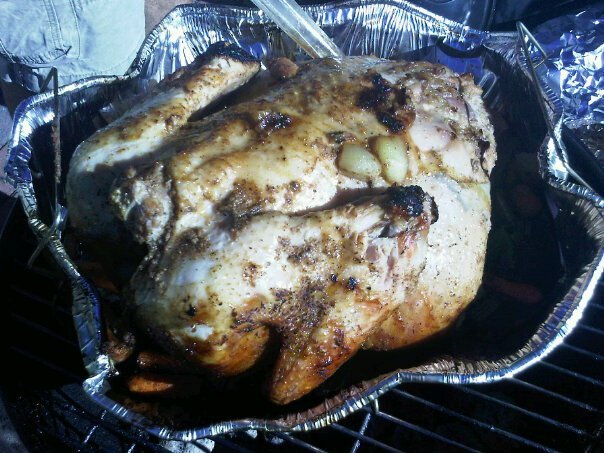 So for all the non believers out there- it is true- you can grill your turkey! And it is incredible!